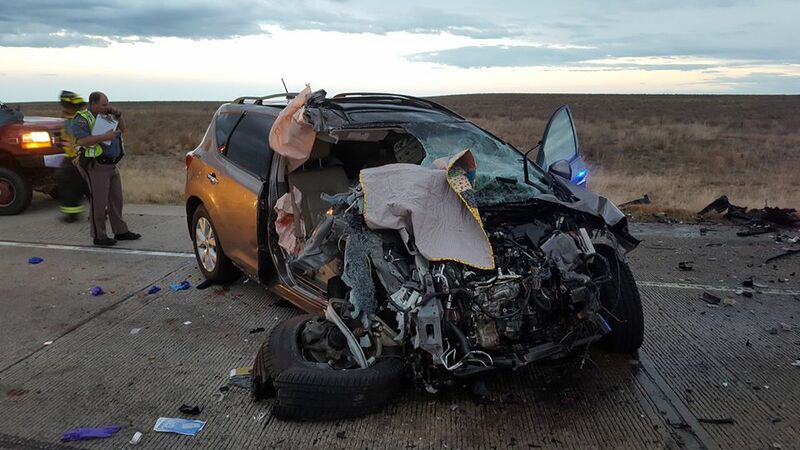 The Morgan County Sheriff's Office in Fort Morgan, Colorado, has dealt with a dangerous chase that ended in a grisly head-on collision. According to a story posted on the department's Facebook page, an off-duty investigator for the MCSO spotted a man, pursued by an employee, dashing out the doors of a Murdoch's Ranch & Home Supply Store, a chain outdoor store. The as-of-yet unidentified thief threw $1,000 worth of power tools in the back of his Ford pickup before taking off. When the investigator tried to block the truck in after it parked nearby, the driver of the truck rammed the investigator's car out of the way before taking off at a high rate of speed. The truck then joined the highway, and when State Patrol troopers caught up to him, he hopped the median before they could turn on their lights to pull him over. 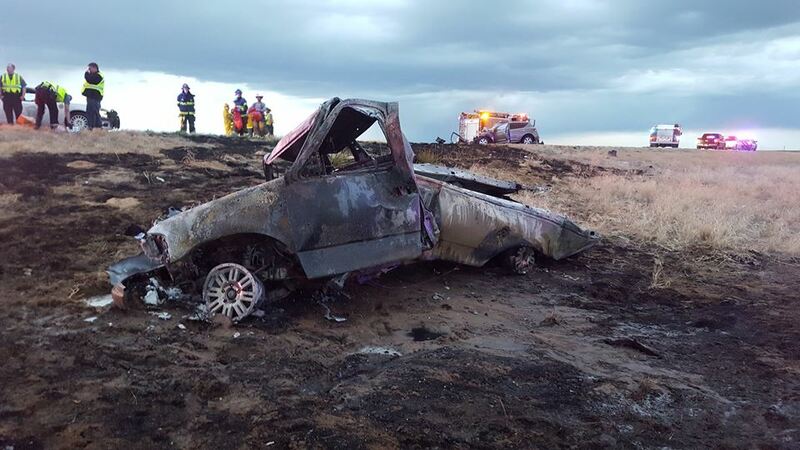 The pickup then drove against the flow of traffic at speeds nearing a reported 130 miles per hour, with troopers making attempts to slow the truck or push it off the road, to negate the risk to the general public. Unfortunately, the truck struck an oncoming Nissan head-on, causing a horrific accident. The truck flipped off the road, catching fire, and the Nissan came to a stop in the middle of the highway. 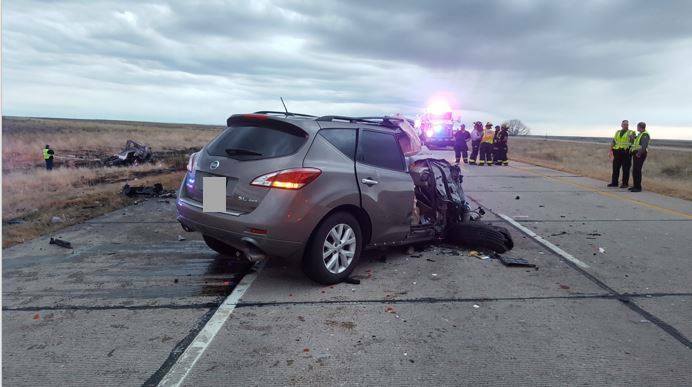 The driver of the Nissan was conscious, and able to extricate himself, but his passenger had to be cut out, and airlifted to the hospital. The truck driver was unconscious, and trapped in the flaming Ford until he could be freed. The difference between the two vehicles is a stark example of how far vehicle safety has come in the last decade or two. 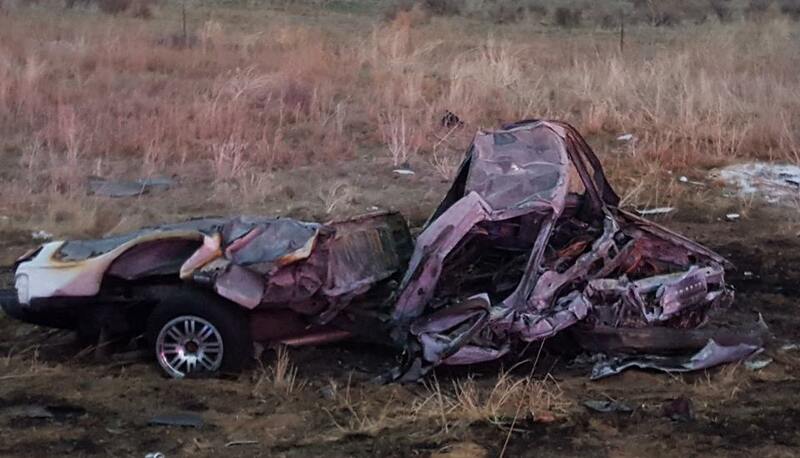 The Ford is either a Ranger or F-series, but due to the mangled state of the vehicle, its specific model and year have not yet been identified, nor has its driver. Some of the difference in condition of the vehicles is the addition of crumple zones in a car's unibody frame. Structural elements of the frame are designed to absorb the shock of impact, increasing the amount of time a car has to decelerate in a crash, which reduces the damage to occupants. It may total the car, but it is better than totaling you skull. As bad as visibility is in modern cars, most people would rather not see what hit them and survive than see the car that sent them to meet their maker. Given the charges that are stacked against the suspect in the event they survive this ordeal, they will have to ask themselves: was all this worth it for $1000 in tools? The two vehicles collided at a rural intersection amid severe storms in Texas.